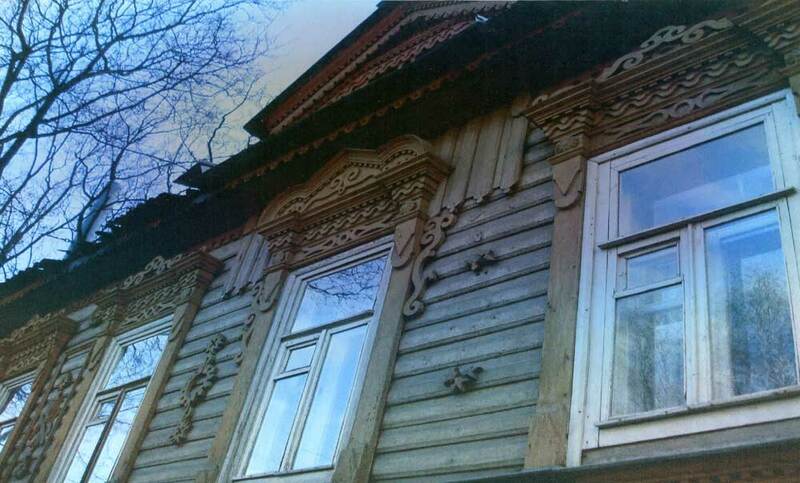 Culture | Wooden lace of Nizhny Novgorod. Bolshaya Pokrovskaya Street. One of the oldest fire brigades of the city of Nizhny Novgorod. Built in the XIX century.The window on the front porch of the house number 41 on the street Bolshaya Pokrovskaya. Wood carving.